Oh, how I love minimalism! It has given me so much peace of mind and it saves me a lot of money. It helped me become a better person and I’m becoming better at minimalism every day. This article is written for people who want to get the same results. 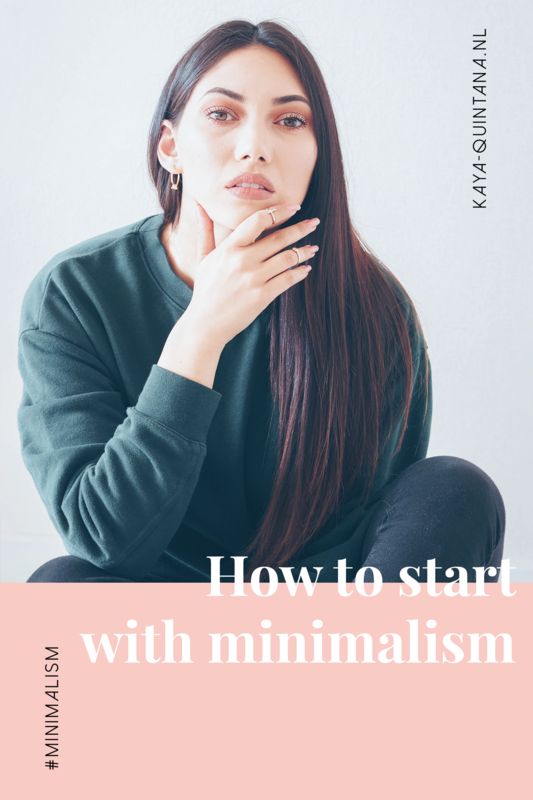 Yes, I’m sharing my tips on how to start with minimalism. If you want to dip your toes into this way of life, this article is for you. Let’s get into right diddy! A lot of people seem to think that minimalism has to be radical and extreme. They think it means they have to throw away all of their belongings. 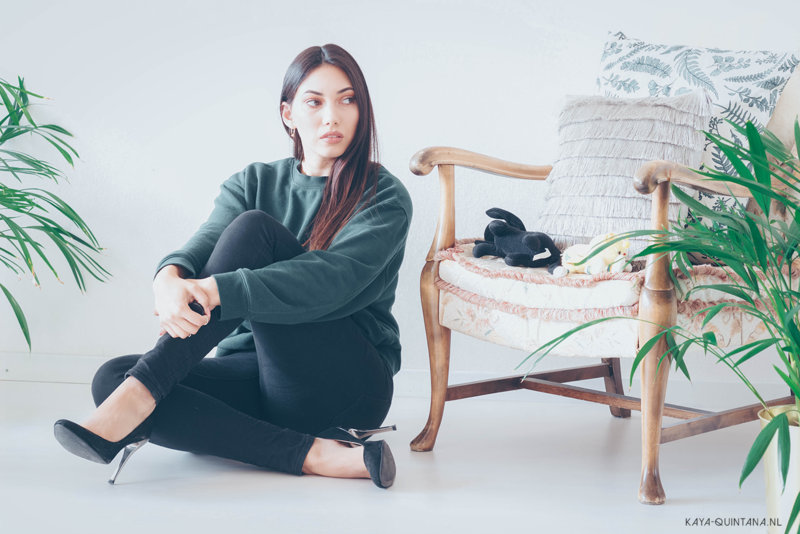 Minimalism is often associated with empty houses, closets and only having a few select items. If that’s how you want to experience minimalism, you certainly can. You can also take it easy and see minimalism for what it is: Only buying, keeping and using the things you really like and need. So don’t worry, you don’t have to throw away your amazing shoe collection if you don’t want to. It is however a good idea to start thinking about buying less shoes, since you probably don’t need all of them. Neither do you have to sleep on the floor and quit all luxuries. No, minimalism isn’t about saying goodbye to the things that make you feel good. It’s about eliminating stuff that doesn’t and replacing it with a good mindset and experiences. I started out with my walk in closet. I chose to clean out my wardrobe first, since that’s an easy thing to do for me. That’s why I advise you to start with a room that’s easy to clean out for you. Maybe it’s your bedroom, your home office or the living room. Start with your favorite corner and see what items are in there. Check if you really need all of those nick-nacks on your shelves. Do you really have to hold on to all of those old magazines you’ve already read? If not, toss them in the paper bin to recycle them or give them away to someone who’d still like to read them. Go through every item in the room and figure out if you need it. You can sort everything in three bins or piles: Keep, toss or recycle. Whatever you really need and like to keep, stays in the room. Things that are broken and can’t be fixed will be tossed out. Are there things you can recycle like clothes, paper, plastic or electronic devices? Recycle them by giving these items away to friends, family or the thrift shop. Minimalism is also about making sure you create less waste, so don’t just throw everything away. Now repeat this process for every room in your house. Minimalism is a process. You don’t have to clear your entire room or house in a day. I started with minimalism about two and a half years ago, and I’m still not fully done. Don’t beat yourself up if you find it hard to say goodbye to certain items in your house. I personally have a basement where I’ve stored things that I don’t want to get rid of yet. I’ve packed those up carefully, so I can one day re-use them. Think of furniture, photographs and items my family gifted to me. Mostly things that are still good to use, but not right now. Minimalism is also about giving yourself the time to say goodbye to items and habits you don’t really need. Like shopping when your unhappy or putting too much value into an item instead of the person who gave it to you. It takes the focus of stuff and it puts it back on your personal development. If you can’t shop to make yourself feel better, you have to learn how to deal with it a different way. Like taking a walk in the park, hang out with friends and family or maybe take on a new hobby. As you go through your house room by room, you’ll notice certain things are missing. Maybe you have a lot of papers laying around which you’ve never stored properly. Or maybe you have too many cute mugs while you only use one. Make a list of things you can improve in your house and start working on it. Tasks that made it on my list were things like storing important documents online, so I have less paper in the house. I also threw out old plates that looked gross and were chipped. I replaced them with high quality plates. Start with minimalism by finding out what you can improve in your house. What things can you do to make your lifestyle and mindset better? Maybe you’ve always wanted to redecorate your bedroom so you can sleep better. Put that on your list and start working on it. I do recommend keeping it simple. If you want to change your bedroom, see what you already have to make that happen. Perhaps you have some old paint left, maybe you can rearrange some furniture around. Work with what you have to create a new and better vibe. Minimalism isn’t just about throwing away stuff. It’s about creating a better lifestyle and mindset for yourself. That’s why I want to advise you to really sit down and figure out what works for you. I think it’s best to do this while you’re in the process. You are going to experience things about yourself you haven’t anticipated on. I noticed that it gave me so much peace of mind, not feeling the need to shop anymore. I realized it’s just a bad habit I picked up as a child and teenager. I started getting more creative with my blog and Youtube channel. Instead of buying things and making a video about it, I started making articles like this. Not focusing on stuff and shopping really took me back to my core. My house is now filled with less things that used to distract me and I love it. I never knew having less items in my house could help me relax or feel less stressed out. I now only have meaningful nick-nacks in my rooms and it makes me feel so much better when I walk in. My mindset really improved through minimalism! 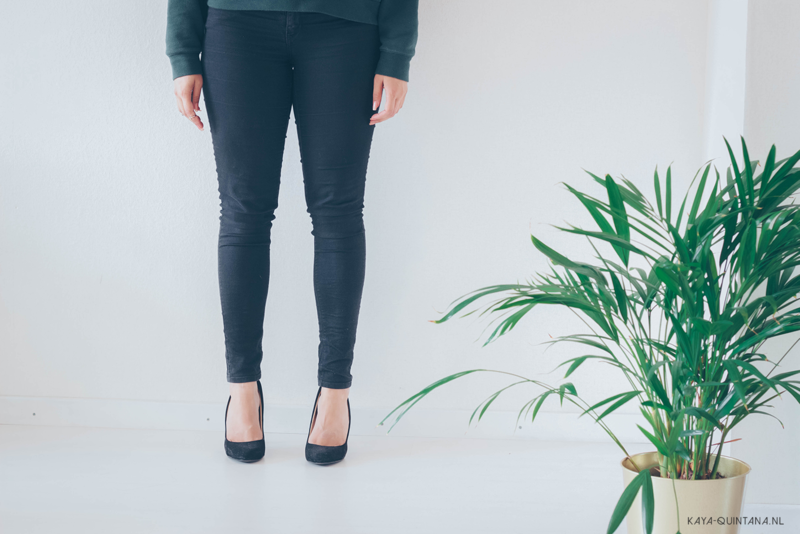 I hope this will help you start with minimalism in a way that suits you. Please let me know if I can help you out some more and don’t forget: Minimalism isn’t a law, it’s a lifestyle. Use minimalism in a way that suits you and don’t mind to much attention to how other people do it. P.S. Subscribe to my Youtube channel for minimalism videos. Lifestyle: Help, ik ben ziek! Vlog #128: Getting back into ketosis (meals) + New meds!